This week,the Online McGill International Review offered once more different perspectives on world issues to its readership. The writers challenged the conventional wisdom seen in most mainstream medias to deliver undiscussed, but nonetheless “breaking” news. As always, they placed this information in its broader context to provide a full picture to the readers. The articles stretched geographically from Mexico to the Maldives as well as covered a wide range of topics: from Pope Francis to the future of democratic consolidation in Tunisia. With the exam period and the coming holidays on our minds, this week’s articles remind us that the world is still moving at a fast pace. This weekly roundup summarizes the main ideas and discussions of this week’s writers. 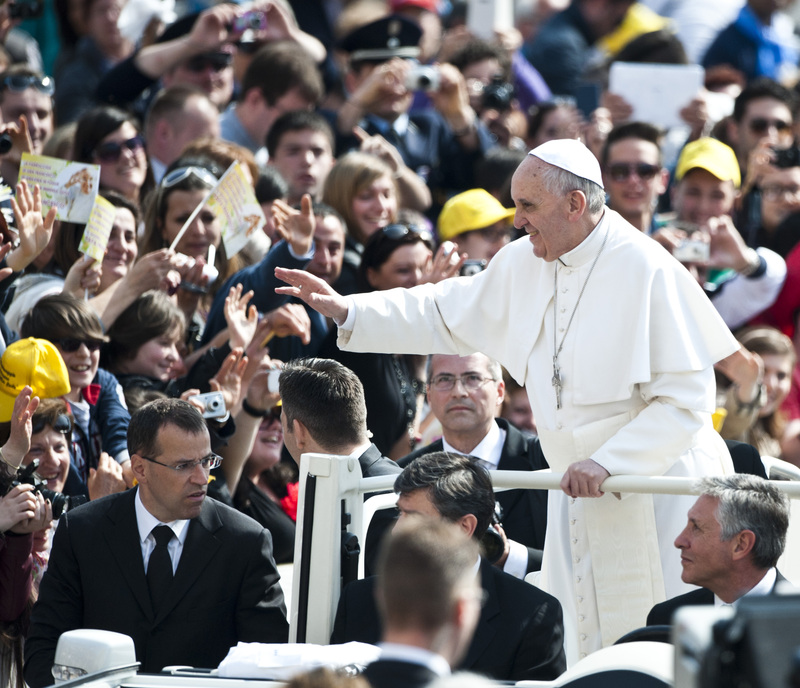 With Pope Francis’ recent appearance in front of the European Parliament, MIR Online editor Sara Issaoun steps in to discuss the new and up-to-date ideas and methods that the first pope of the Americas has brought to a normally conservative Church. Coined the most influential Twitter user, the new pope’s activism ranges from his famous “Who am I to Judge?,” in regards to homosexual members of the Clergy, to his fight to end modern-day slavery by 2020. Nowadays, it is no secret that ISIL makes millions of dollars selling oil on the black market. A less known, but nonetheless significant source of revenue is looting and trafficking of antiquities. Editor Aliaume Leroy analyzes this issue by looking at the ways ISIL cashes in on this illegal activity. As the looted antiquities piggyback on the legal arts market and reemerge auction houses in Germany and the US, one must also question the existing legislation monitoring the trade of antiquities. Shifting the geographical focus to the Maghreb, writer Anne Favory follows up on the outcome of the Arab Spring in Tunisia, an issue that has largely disappeared from the media’s analysis. She concludes that “the prospect for democratic consolidation is still realistic in a Tunisian context.” To ensure its success, the Tunisians still need to resolve a couple of issues: ranging from achieving political pluralism to addressing social and economic issues. Writer Margot Charles brought a brand new and groundbreaking way of analyzing media. 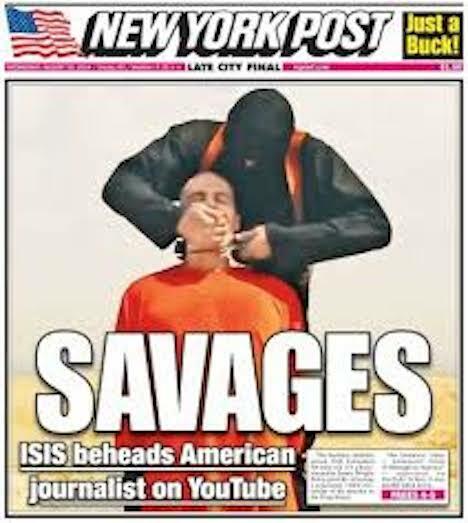 Applying game theory to the reporting of IS beheading videos and violence, she finds that journalists are inherently caught in a dilemma where “there exists no credible way for a network to commit to not releasing the video.” As long as the media release the video, they will serve the terrorists’ desire for attention. Part 2 of the article will be published next week. In her recent article “Why Modern Slavery is Not to Be Ignored”, writer Alix Vadot reminds us that human trafficking is still a sad reality in our modern society. Discussing the findings of the UN Office on Drugs and Crime annual Global Report on Trafficking in Persons and looking at the particular case of Brazil, she concludes that more global attention and scrutiny is needed to fight off this phenomenon. Two months ago, 43 students from a rural teachers college in Mexico disappeared. As the affair unraveled, the Mexican citizens once more found out the extent of the political corruption plaguing their country. Writer Nicholas Lepage places this event into the context of “the colossal failure of the Mexican State” to defeat drug cartels and corruption. What separates the case of the 43 students from the other acts of violence is the political momentum and public visibility it has gained in Mexico as well as on the international stage. Continuing its bilingual project, MIR Online has seen two publications in French. For the first one, writer Juliana Salaun debunked the pictures that come to our mind when we think of the Maldives. Beyond the wonderful beaches and the transparent water, an authoritarian regime thrives. It has recently re-introduced the death penalty. Even more compelling is the fact that most of the state revenues (80%) come from tourism. In other words, tourists indirectly sponsor the human rights violations of the Maldivian government. The second French publication looks at how humor and politics flirt together in Quebec, France and the USA. To conclude this week, writer Ronny Al-Nosir warns that comedians should not cross a certain line when discussing politics in their shows. French comedian Dieudonné is one example. On the other hand, he also concludes that people should not overreact when comedians, such as M. Khullar in Quebec, provoke or speak out on controversial issues. Provocation, unlike deliberate racist, xenophobic and intolerant allegations, is part of a comedian’s tools. This week’s articles thus offered new lenses to the readers with which to analyze the world or covered issues which are barely discussed in the mainstream media. Do not miss next week’s pieces, which promise to be as thought-provoking as these ones.